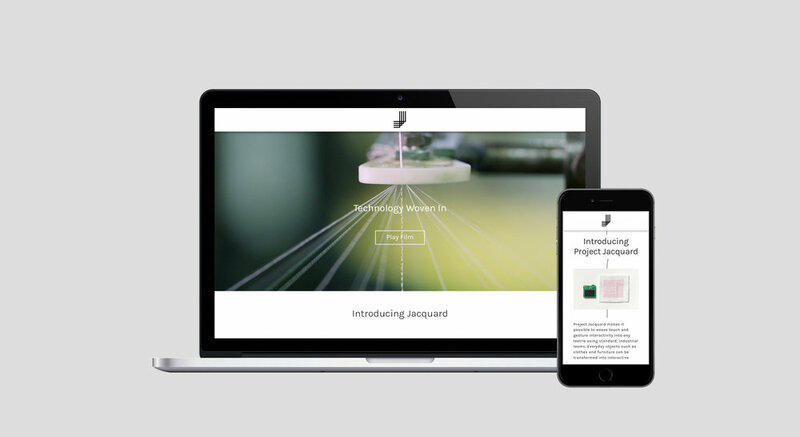 An integrated campaign launching the world's first interactive textile. In 2015 ATAP, Google’s Advanced Technology and Projects group, pioneered a new way to invisibly weave technology into any fabric, meaning everyday clothes could be transformed into interactive surfaces. We launched this innovative raw material and platform in a way that would bring two very distinct and disparate audiences together, fashion designers and developers. We utilised a variety of media: film; posters; exhibition; interactive demos; responsive digital sites; and an event to inspire them to come together and use the Jacquard platform to create the connected, touch-sensitive clothing of the future. Originator of creative ideas for the installation and brand identity, including responsibility for the specification and execution of the installation. I storyboarded and appointed the director for the launch film, as well as supported with design on the website and posters.